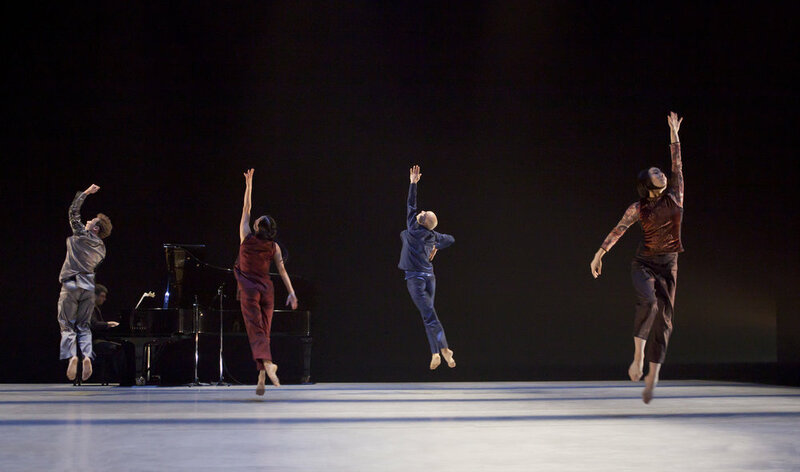 Piano/Quartet sets four superb dancers in motion, translating – as choreography – a series of striking and complex poems by John Cage, based on quotations by the painter Jasper Johns. 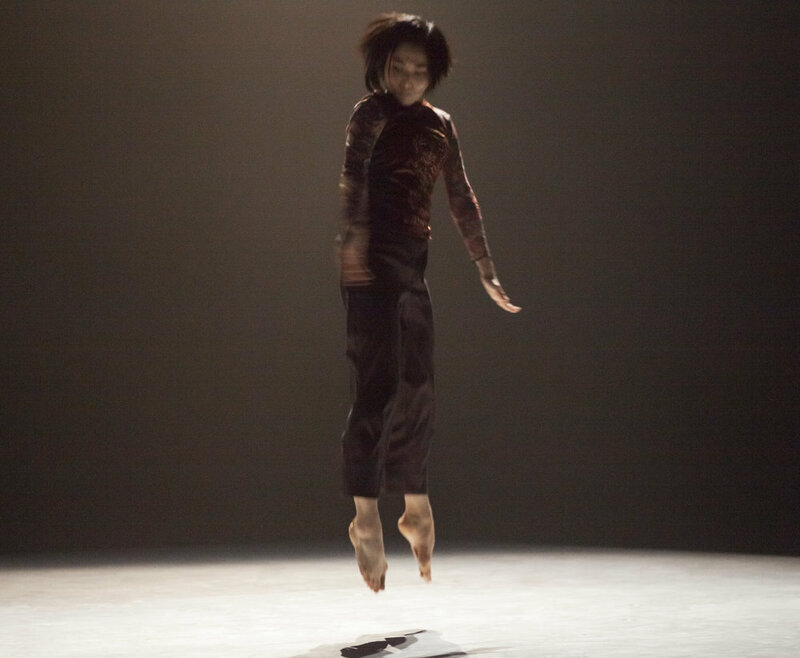 You do not hear the poems, you see them danced. What you do hear is a selection of John Cage’s Sonatas and Interludes for prepared piano (a Cage innovation) played by the masterful John Kameel Farah. As Peggy Baker explains: More than any other writing I know, Cage’s poems (he calls them mesostic texts) feel to me like choreography – in the way that a single idea is pulled apart and reconfigured repeatedly over an expanse of time, moving beyond the explicit language employed to call up images and juxtapositions that emerge, transform, catalyze, and dissolve.